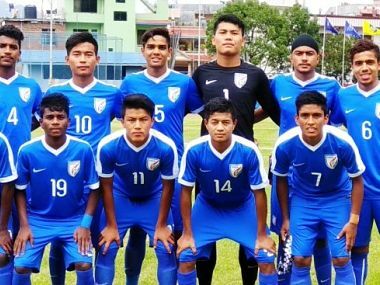 New Delhi: India rode on a stirring second-half show to blank Palestine 3-0 in the AFC U-16 Championship 2018 qualifiers at the Halchowk Stadium in Kathmandu on Wednesday. Givson opened the scoreline from an impeccable free-kick in the 51st minute. It was followed by a strike from Bekey in the 72nd minute. 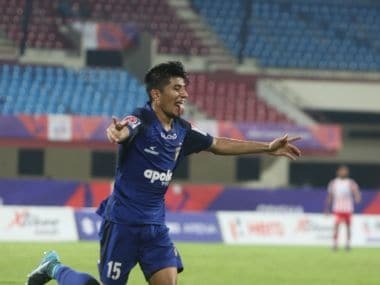 The last nail in the coffin was put by skipper Vikram in the 79th minute. India came very close to draw the first blood in the 8th minute but Bekey's shot whizzed past the crossbar. In the 25th minute, Givson, who was operating as a free- player at the middle, cut into from the middle but his cutting-edge could have been dealt better by Ricky. 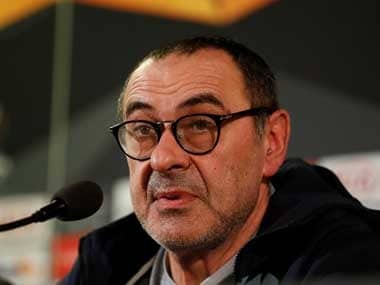 Perhaps the biggest moment of the first-half for India came in the 28th minute when Harpreet's volley ricocheted off the crossbar to leave the India dugout aghast. Gurkirat also tried his luck from 30-yards out but the Palestine goalkeeper collected it without any trouble. Changing over, Givson stunned the Palestine goalkeeper in the 51st minute when his right-footed free-kick found the target leaving him stranded at the other end. Bekey converted the meticulous cross from Ricky to double the lead in the 72nd minute. India took the match by the scruff of the neck in the 79th minute when skipper Vikram blasted the net to make it 3- 0. India next play Nepal at the same venue on 22 September.